Un an advanced options button gives access to four specific transformation parameters. A slider can be used to set a general transformation quality, from low to high. The construction algorithm applies two successive grids on the polygon layer. It is possible to run the algorithm several times. Moreover, in order to have a better idea of the transformation that has been done, a layer containing the visual representation of the transformation grid can be created and included in the output. The grid layer contains a rectangular grid that is not used by the algorithm but constitutes only a visual aid for cartogram interpretation. The regularity of grid cell sizes allows you to estimate the importance of the transformation in comparison to the original polygon layer. 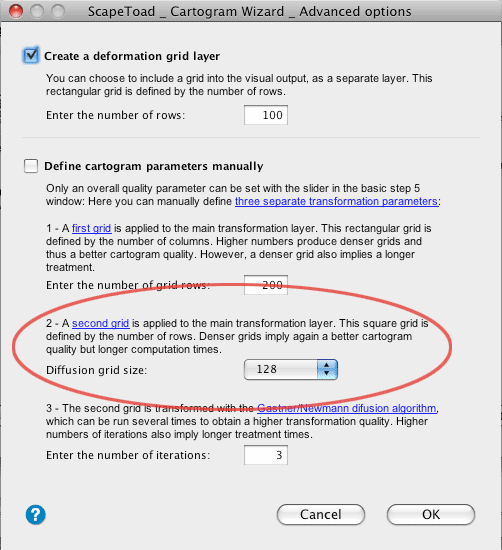 For this option to work, the number of cells on the larger side of the rectangle grid must be specified. 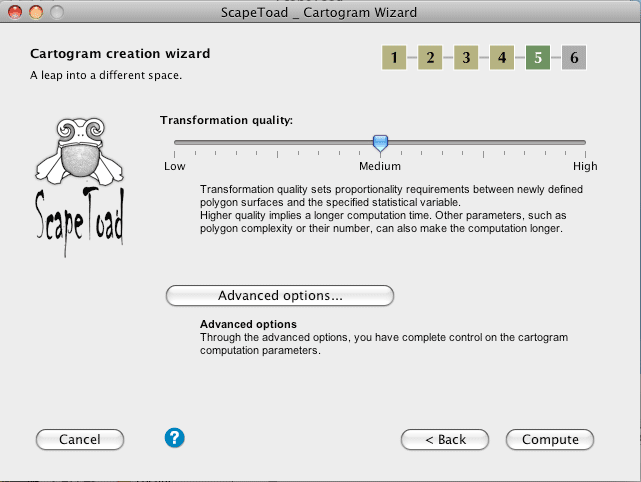 The first grid used by the cartogram algorithm is applied to the polygon layer. All calculations are executed on this first grid. It is a rectangular grid and has to be as fine as possible to guarantee good transformation quality. A too fine a grid, on the other hand, significantly increases treatment time and needs for RAM. 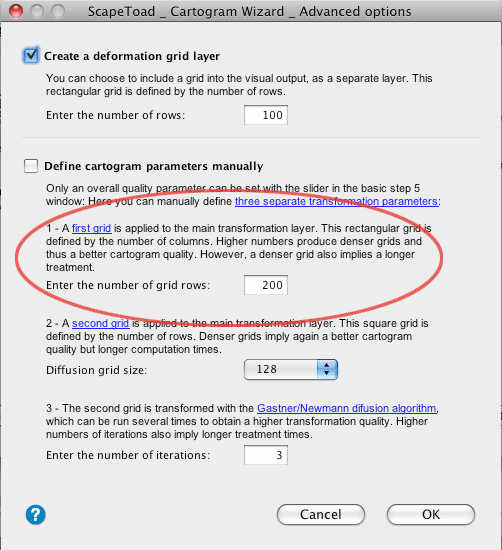 For this option to work, the number of cells on the larger side of the rectangle grid must be specified. 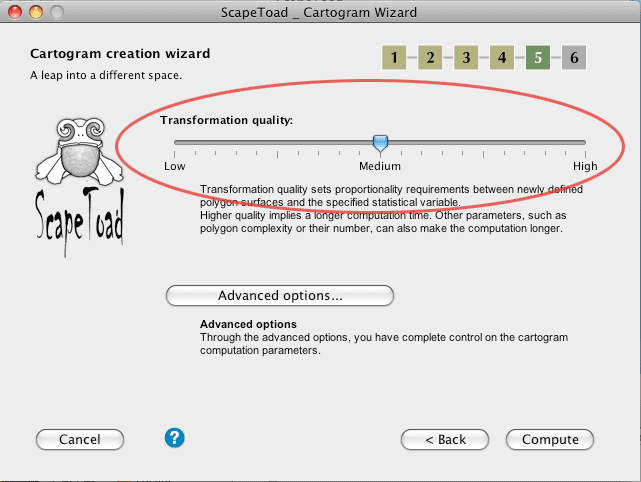 Automatically, the maximum cell-size is determined in function of the smallest polygon feature size. Spatial extent of the polygon layer is also used to determine cell-size: e.g. for East-West rectangle length of 500 km and for a value of 50, cell size will be 10 km on that side. 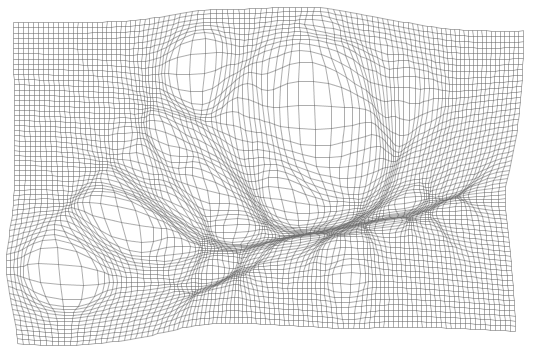 The second grid is an important element of the transformation algorithm (the Gastner & Newmann diffusion algorithm). It is squared and its quality is defined by the total number n of cells, in such a way that n = 2k for k ∈ N. Denser grids imply again a better cartogram quality but longer computation times and higher RAM usage. If the spatial features to transform are rather small over the whole spatial extent, it is preferable to choose a fine grid (256 or 512). Inversely a more coarsely partitioned space allows for a coarser grid (64 or 128). The preceding grid is used several times for the application of the Gastner & Newmann diffusion algorithm for an optimal result. The finer the partitioning chosen in the preceding option, the higher the number of iterations. Inversely, a coarser partioning may need one iteration only. While the optimal number of iterations cannot be analytically determined, by experience 1 to 5 iterations are sufficient. The three preceding parameters can only be automatically adapted to a general quality requirement. 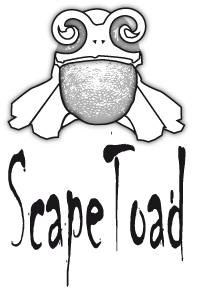 You may wish a lower quality for getting a coarser estimate of the resulting map for research use, and a better quality for publication. Higher quality always increases treatment time.